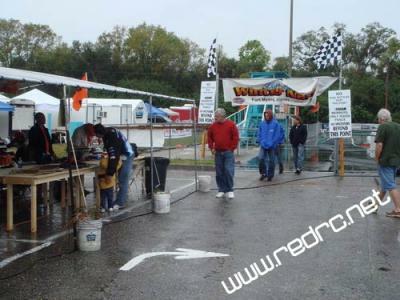 Red RC - RC Car News - Page 4162 of 4240 - Red RC - RC Car product news, views and race results. 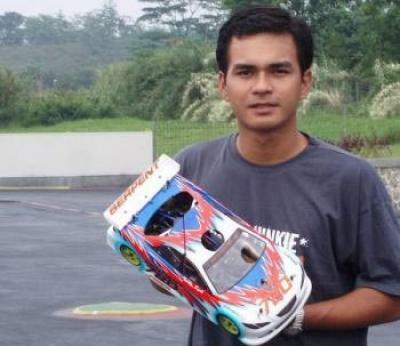 Serpent.com continue their Racer in the Spotlight series with an interview with Worlds finalist and top Indonesian racer Teddy Syach. In the interview Teddy explains how he got started in RC Racing, his best and worst moments, and if your travelling to Indonesia, which track is the best to visit. Also did you know that Teddy is a very famous actor in Indonesia, thats way cool. Read the full interview with Teddy here. You can also check out the first interview with Portugese hot shot Ricardo Nogueira here. 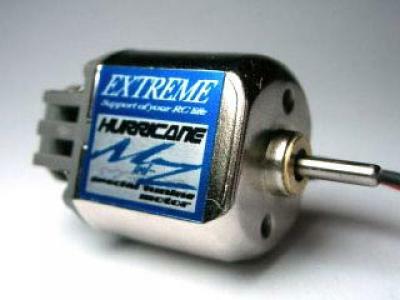 Japanese company Extreme have announced that they will release their latest motor for Mini-Z racing, the Hurricane MZ. Available from tomorrow onwards, this modified motor uses bearings for smoother movement as well as better performance and durability and uses a special end bell for better heat dissipation. This motor provides large torque and will have you tearing up the table top tracks in no time. Well the rain held off, and the sun came out, to allow the organisers get the scheduled 2 rounds of qualifying in on Tuesday. In the 1/8th class, reigning Champion Mike Swauger, driving his MRT Ninja powered Mugen MRX-R, managed to squeeze the top spot away from Paolo Morganti, the Serpent racer just 1 second behind in 2nd position. Former 1/10th Winternats champ Scotty Gray was a further 3 seconds back in 3rd ahead of a non finishing Josh Cyrul who lines up a very quick 4th despite a DNF on this fastest run. In the 200mm Sedan class, Ralph Burch, has put the all new Xray NT1 on provisional pole position ahead of Serpent 720 racer Danny Horta who was 9 seconds back in 2nd. But this of course doesnt tell the true story as both Chris Tosolini driving a Kyosho and Paolo Morganti with his Serpent 720 didnt manage to finish their fastest runs, which had they done so would have seen them a within 1 or 2 seconds of Burch. Qualfiying continues on Wednesday with rounds 3 and 4 to be run, we will keep you updated with the results and more pictures. Werks Racing have officially entered the European racing scene by sponsoring their first European racer, top Scandanavian racer Ari Heinonen. 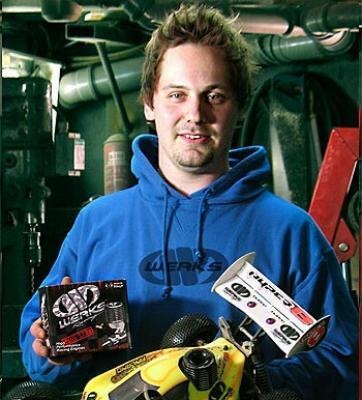 The Finnish HoBao racer has agreed terms for 2007 and along with running their Werks Teamline B7 .21 Engines he will also use the Werks pipes as well as the companies buggy and truggy tires. A while ago we wrote about the DB12 from BMI Racing when they released images of their prototype 1/12th scale car, well now they have released images of the production version that will be released soon. This car made the A-main at last weekends Snowbirds in the hands of Jason Schreffler having only managed to get 1 day practice with the car before the event, which is a great achievement in such a competitive category. 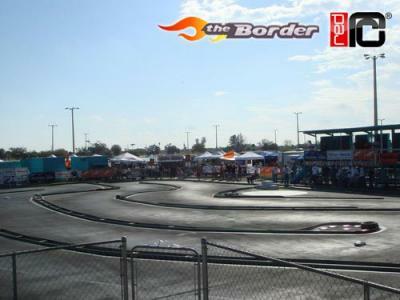 The second day of this years Winternats had been rained out in the morning with the track only getting some running on it after lunch and although the weather is not looking like it will stay dry for the rest of the week, we should see a full days running today. Of course drivers who got some practice in on Sunday can now find themselves at an advantage over those that only arrived on Monday but the morning break gave everyone the chance to get their stuff together and catch up with old friends. The Xray team also got some time to build their NT1’s with some drivers only receiving the car in kit form when they arrived at the track. During our round up of the off road vehicles on show at the Nurnberg toy fair we mentioned the new 1/8th scale buggy from HobbyTech called the STR8, but didnt know much more about it. Well here is a video of it in action and the producers have made it look pretty good, with some rap music and slow motion air shots, i have to say it looks good. Check it out in the video above. Last week we suggested that the partnership between Kyosho and Star Motor Engineering, makers of Sirio motors, may be on the rocks following constant rumours suggesting so and the fact that their 2 World Champions had stop running their motors. 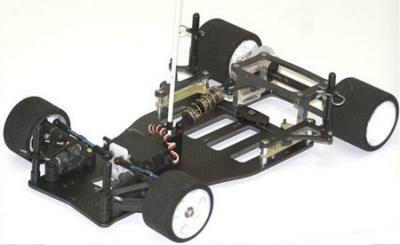 In an interview with Italian website Unoadieci, Andrea Rossi set the record straight and suggested that these rumours were aimed to cause damage to the companies reputation and the partnership between itself and Kyosho and cause doubt in the market. He says that the working partnership is as strong as ever and their team will remain the same for this season as it was last season with the exception of Adrien Bertin. He also took the opportunity to state that their competition engine development continues with the release of 4 new motors for on road and off road. UPDATE: Just when you think everything is pleasant in Sirioville, RMV Deutschland, who are heavily involved with Kyosho Europe, have issued a statement on their site stating that as of last Sunday their contract to supply Sirio ran out and that they no longer wish to continue selling their products and will instead only concentrate on RB Products. See statement here (in German).